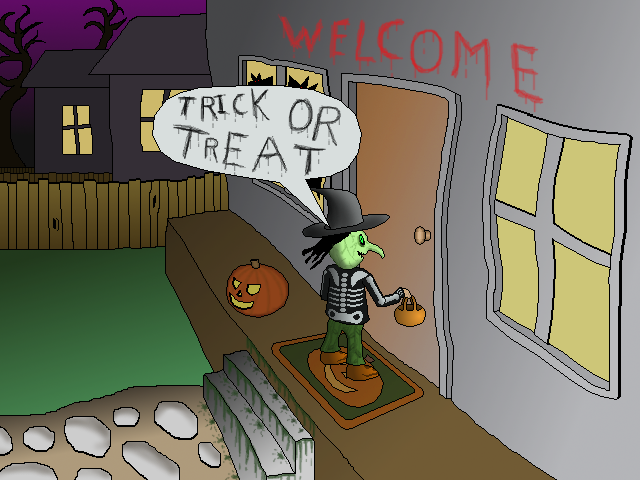 This game was made for the October 2014 MAGS contest, the theme of which was Halloween. Two players can simulate a bit of creepy Trick-Or-Treat fun without a direct net-link or file-swapping. One player is the Home Owner, and the other is the Trick-Or-Treater. HAPPY HALLOWEEN!!! Well, here it is just in time for MAGS and Halloween as well. The game still has some issues (see game thread in Completed Game Announcements for details) but nothing too major (I hope). It should be quite playable (I hope). I will fix the issues when I have the time. 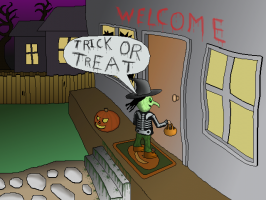 HAPPY HALLOWEEN and I hope some virtual Trick-Or-Treating with your friends can give you some spooky fun via this game.